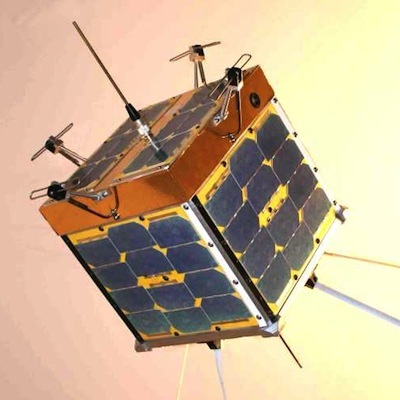 KiwiSAT will carry both amateur radio communications; and a scientific experiment in small satellite attitude control (ADAC). KiwiSAT development is completed ready for launch into a LEO orbit. Target launch date – mid 2013. This on-board experiment explores aspects of the fine attitude control of a small satellite by interaction with the earth’s magnetic field. Originally planned as a dual purpose experiment (to also include a simple ozone measurement tool) it was decided to avoid ‘splitting the aim’ and to concentrate fully on a low cost Attitude Determination and Control System. This, it was thought, would provide a ‘safe’ (KISS!) but interesting objective for a first AMSAT-ZL satellite and would at the same time enable us to establish just what level of pointing accuracy could be achieved by simple equipment and smart software. Magnatorque Test rig. Ground based experiments have demonstrated that the attitude can be precision controlled by means of pulsed magnatorquers to enable the unit to be rotated at various speeds and stopped in selected directions. The end aim is to be able to have the on-board computer (IHU) command the satellite to adopt a specific attitude. If this can be achieved it opens great possibilities for low-cost low-risk satellites which could monitor distant events or enable special communications experiments using high gain/narrow beam width antenna. An advantage of this command ability will be to enable fine control of the satellite’s spin axis and rate of rotation. To enable measurement of Faraday Rotation and Total Electron Count, the 70cm Beacon will be phase locked to the 2M Beacon. The 70cm Beacon may be unavailable when the Transponders is in Mode U/V. (70cm in – 2M out) Potential users are encouraged to write Shareware to enable radio amateurs and other listeners around the world to share in this experiment. Knowledge of the propagation path parameters between an LEO satellite and the earths surface will enable enhanced calibration of planned environmental experiments using radio signals from more advanced LEO systems. Frequency: 145.850 MHz to 145.880 MHz. Output Power: 2 Watts PEP. Radiated Power: 2 Watts (+33dBm) EIRP PEP. Bandwidth: 30 KHz. Emission Type: Depends on Uplink: CW, SSB etc. Antenna pattern: Omni directional in all planes. Frequency: 435.260 MHz to 435.230 (Inverting Transponder). Noise temperature: 273 degrees K.
Emission Type: typically CW, SSB. Antenna Pattern: Quarter wave whip on +Z face (Omni in X-Y plane, Null in +Z and -Z direction). Antenna Pattern: 4 Dipole array (Omni in X-Y plane, +3 dbi Gain in +Z and -Z direction). Radiated Power: 1 Watt (+30dBm) EIRP. Emission Type: 9600 bps data (G3RUH Packet standard) Telemetry and Data (various modes) scheduled with FM Voice or 1200 bps AFSK packet telemetry. Emission Type: CW standard morse code. Radiated Power: 1 Watt (+30 dBm) EIRP. scheduled with 1200 bps AFSK packet telemetry. Emission Type: 9600 bps data (G3RUH Packet standard). Radiated Power: 100 mW (+20 dBm) EIRP. Antenna pattern: Quarter wave whip on -Z face. (Omni in X-Y plane, Null in +Z and -Z direction). We are currently looking to ISC Kosmatras for a DNEPR launch in mid to late 2012.